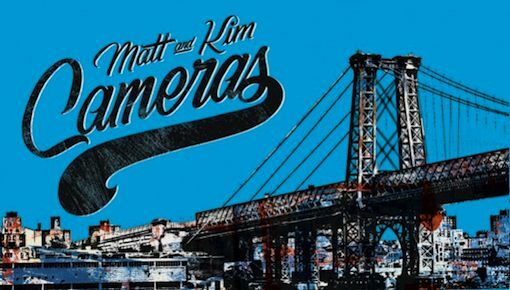 “Cameras” by Matt and Kim. Sorry I couldn’t present this last week like everyone else did, but when a video premieres on MTV in the US, they blog International regions from viewing the content. Being in Canada, I don’t really want to post a video I myself can’t watch. Take note bands, trying to provide a couple of options for your international bloggers and fans.